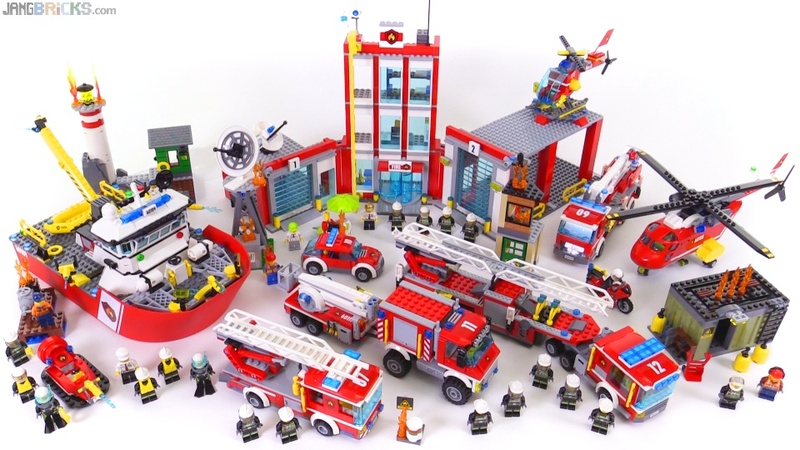 LEGO City 2016 Firefighting sets together! Here's what it looks like when you put the overwhelming bulk of the newest LEGO City fire subtheme sets together at once. I did just a very short video going through the collection quickly and also showing some comparisons, as well as a lineup of all of the figures together. Video: LEGO City 2016 Firefighting sets together!